I am always on the lookout for LARGE artwork. 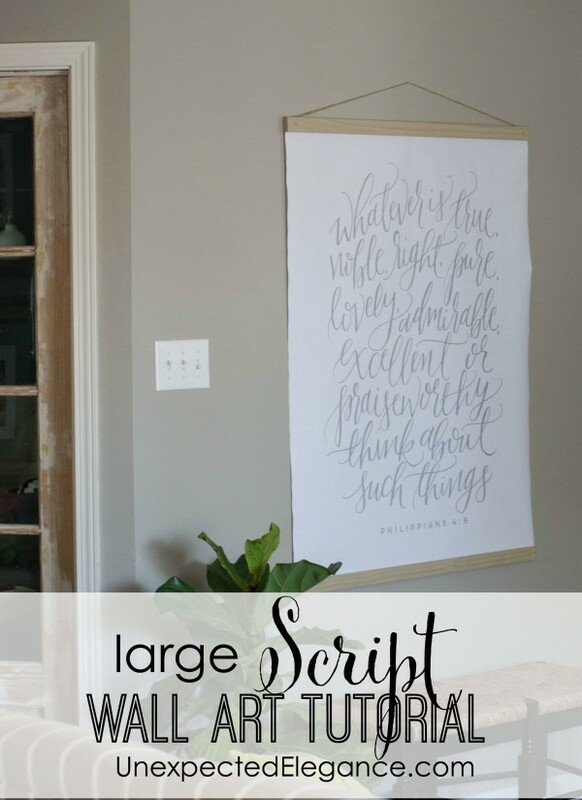 I love bigger pieces that can fill a space…partly because I’m lazy! 😉 If I only have to find one thing, instead of 5 or 7 (work in odd numbers) it’s easier. So I came up with beauty about a year ago….for around $14. 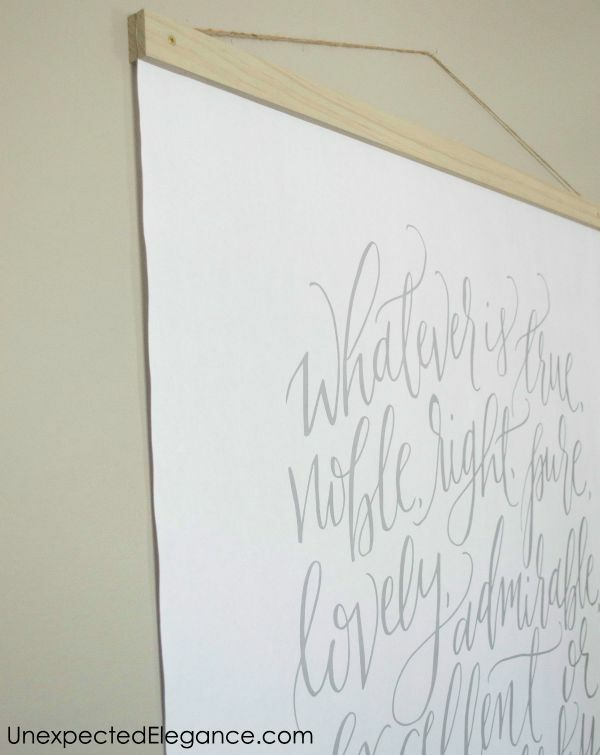 I had this artwork temporarily in the living room, but right now it’s living in the loft. 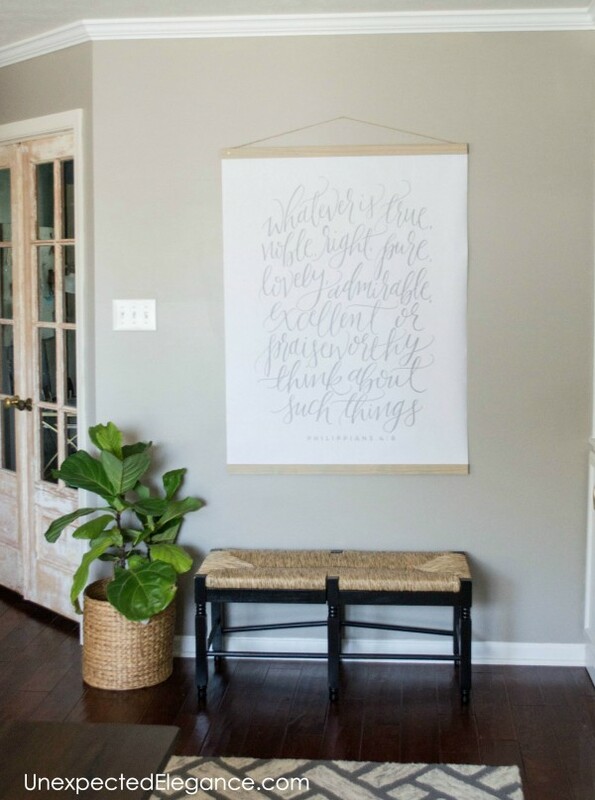 I bought the print from Printable Wisdom on Etsy for $6, then took it to Staples and had it printed on their black and white, 36″x48″ printer for $8. I already had a chart print that I made previously, so I just swapped out the prints. Easy, peasy! The great thing about this project is that you can either make your own or purchase something, as long as it’s in black or gray ink. 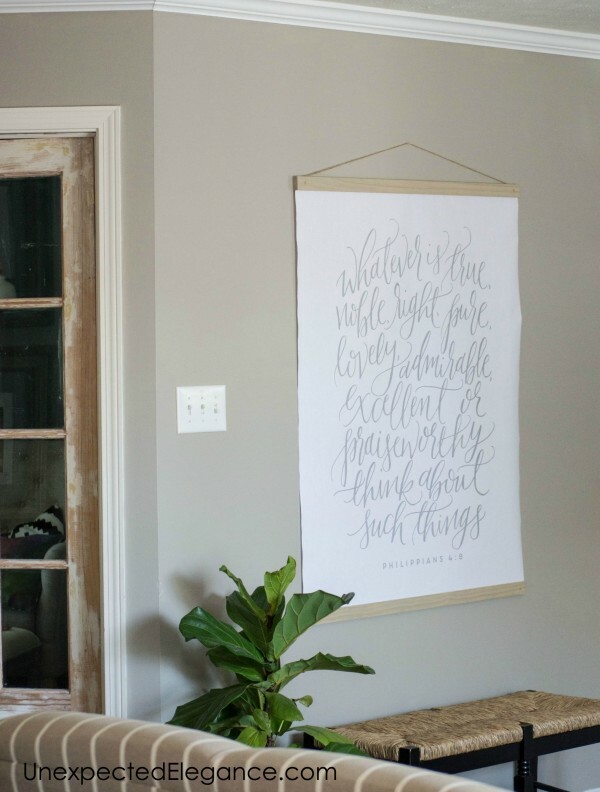 For a full chart tutorial and price break down, check out the post DIY Large Wall Art. That looks so good. Love that verse. I’m just finding your blog. Love your style. I love the way this looks. How did you hang it? Can you buy that or did you make it? I would really love to know! Our building does not allow us to nail into the walls but there are lots of old nails I could hang this from…. 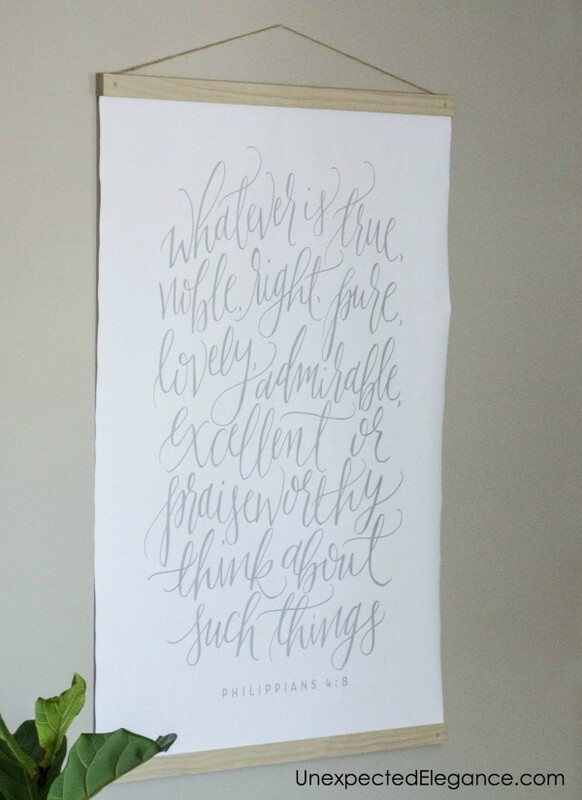 Did you download the print in the 8X10 size and then print it from staples? It seems like that could hurt the quality of the print? Yes, I just used the 8X10. The print was a pretty high resolution and it came out great! Did you burn it to a cd and then bring it in to staples and have them print it to a 36 by 48? Or what did u do to get it? steps? I downloaded it to a flash drive and Staples was able to enlarge it for me. I think you can also email it to them but I haven’t tried that method. Really love the black bench and basket too – can you share where they are from? The bench was from the Christmas Tree Shop several years ago and basket is HomeGoods. Sorry, neither one of those is a help! Where did you get the wood it’s attached to? Did you make that or can you buy it already like clips? I got the wood from the hardware store and just used two screws to hold it together.